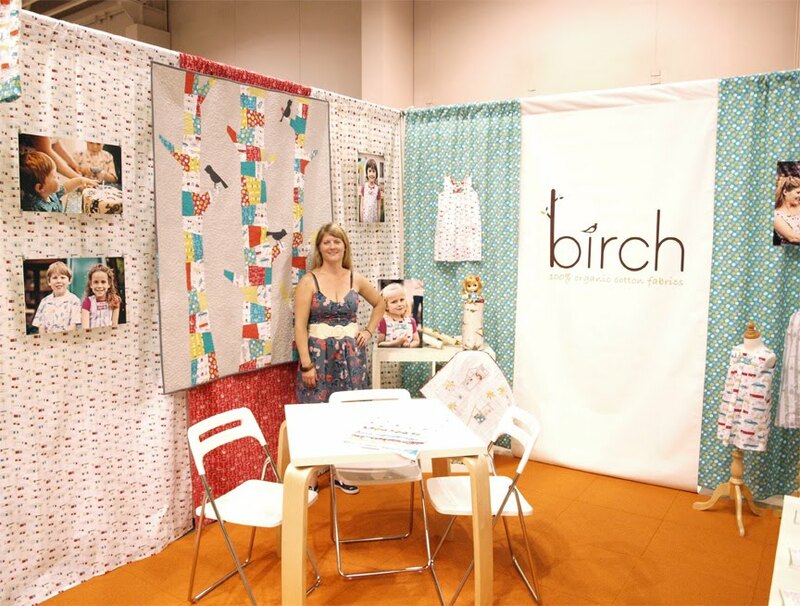 Hi Everyone, wow, I’m sorry it’s taken me so long to start posting Quilt Market photos. I got home on Monday, and on Tuesday the shipment of Circa 50 showed up, we’ve been packing and shipping out orders ever since. We are finally wrapping up shipping, and I have a few minutes to spare. We had a great turn out. 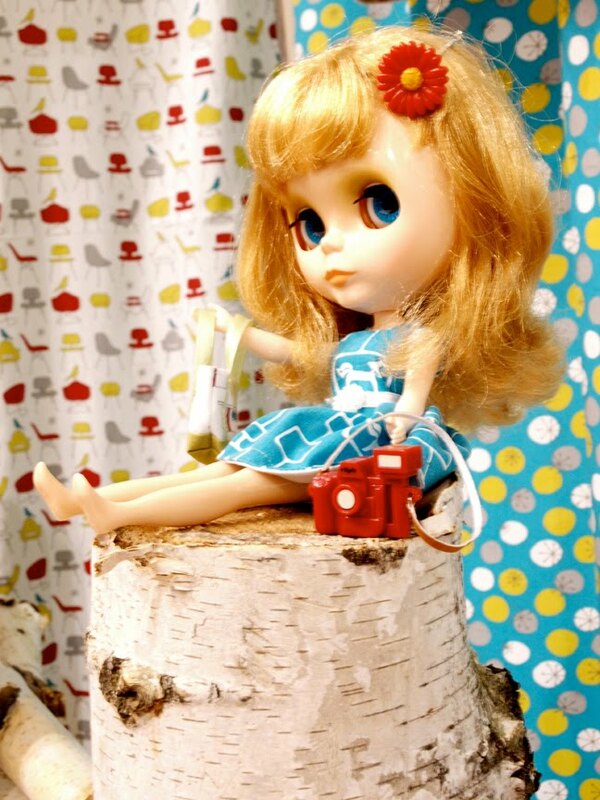 Lot’s of Blog friends came by to admire the works of both OhFransson’s Quilt, the Birch Trees, and Modern Acorn’s (AKA Ms.McPorkschop) Doll Quilt and BLythe Doll Dress. You may have seen photos of these already popping up on the net. Everyone loved the booth, and we had at least 4-5 Magazines requesting information for possible articles. This was Great News!! As an independent converter, we need all the free advertising we can get! 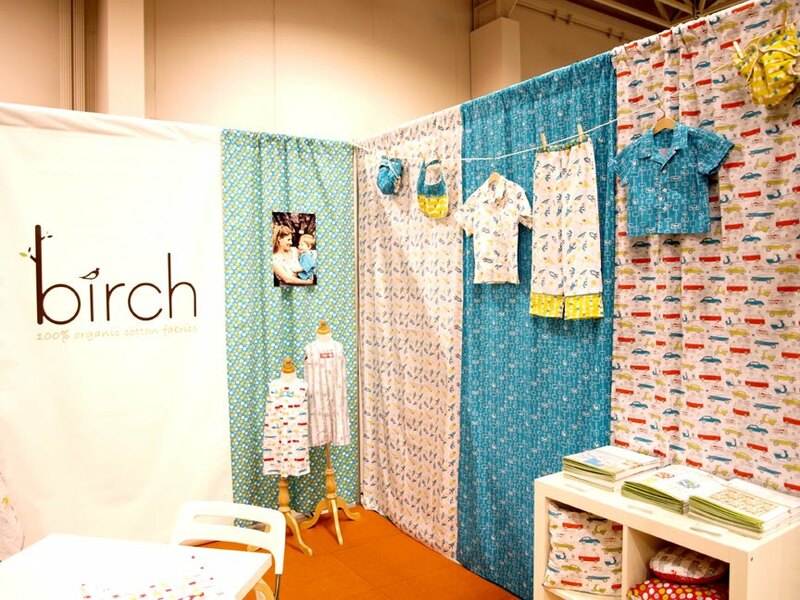 More importantly this is Fabulous Exposure for printed Organic Cotton! P.S. 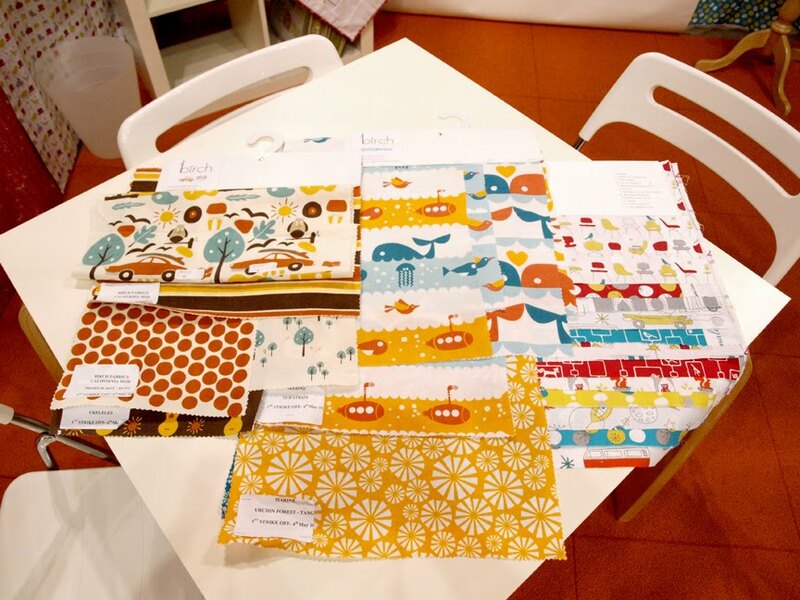 Circa 50 by Monaluna is available @ www.fabricworm.com and will also be available in many of your favorite shops soon. 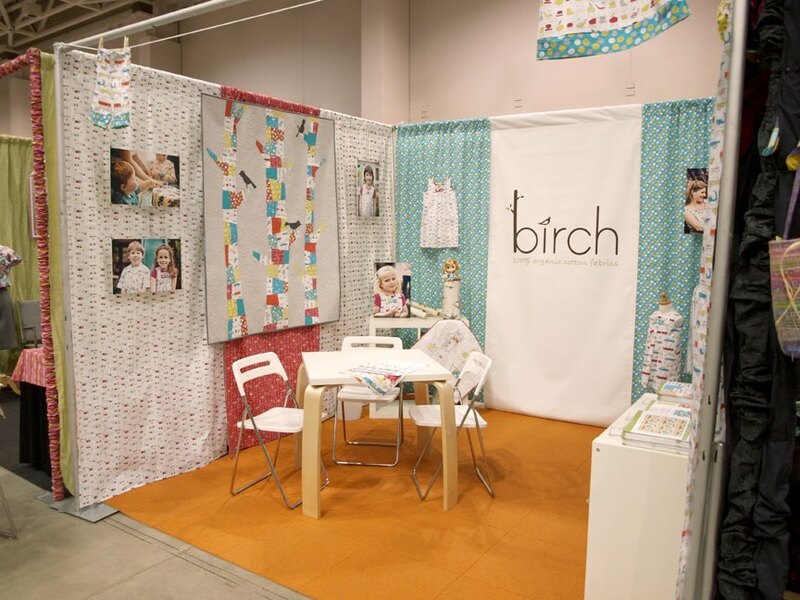 I enjoyed meeting you and seeing your fabric at Quilt Market! Everything is just as beautiful in person. 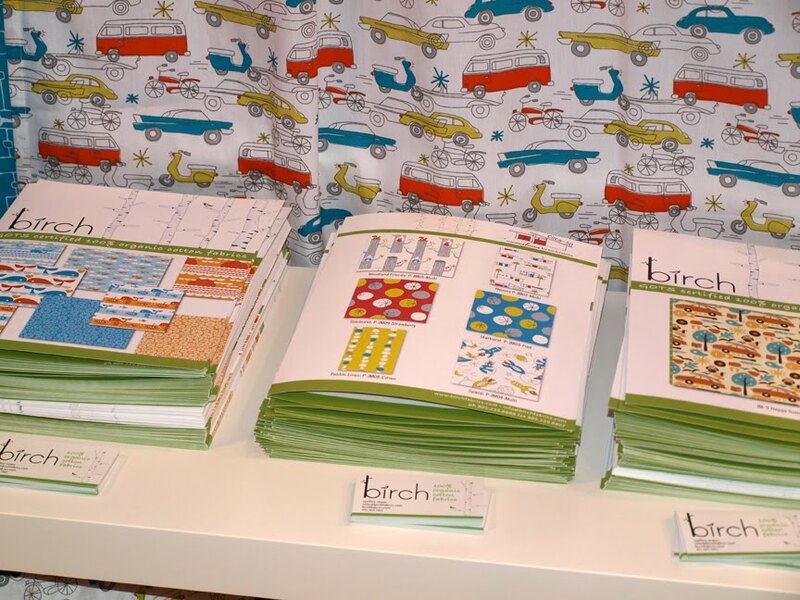 A couple of months ago, Fabric Worm included your postcard and a piece of Birch fabric as a sample. Everything I see here is so beautiful. 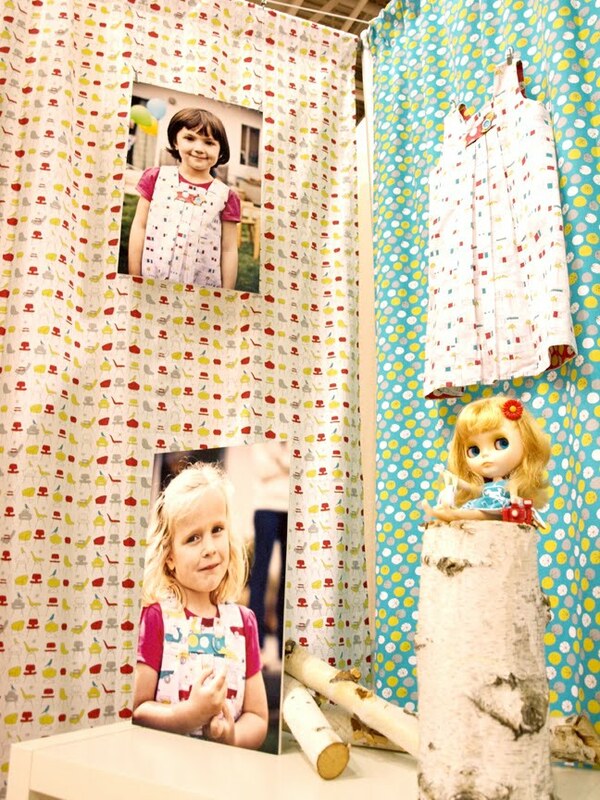 I am so impressed how other quilters make the best out of your fabrics too. Thank you for sharing these pics! 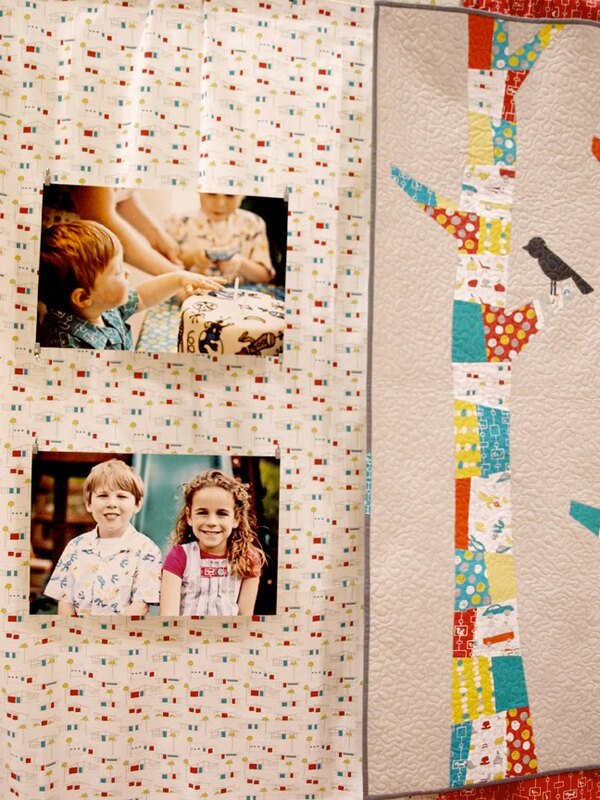 Love these fabrics and their unique designs and especially love the tree and bird quilt! My 12-year-old son has just asked for a bedroom redo and I was looking online for inspiration. A quilt from Circa 60 Beach Mod? Oh yes! I can't wait to get my hands on some!